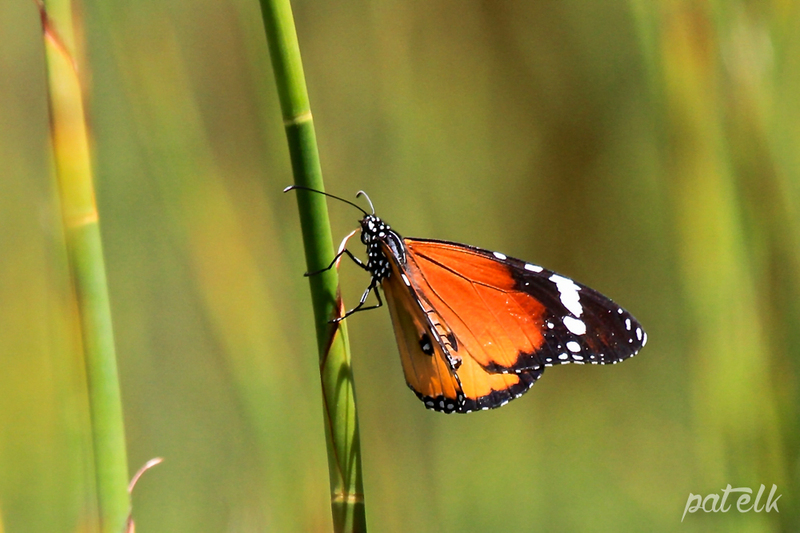 The African Monarch Butterfly (Danaus chrysippus orientis) Afrikaans name Melkbosskoenlapper), feeds on the milkweed plant and its body retains some of the milkweeds toxicity which makes it smell and taste awful to predators. It therefore is able to escape being eaten most of the time. It is found mostly in open grasslands and even in the desert.